A no frills business casual wear to work look. 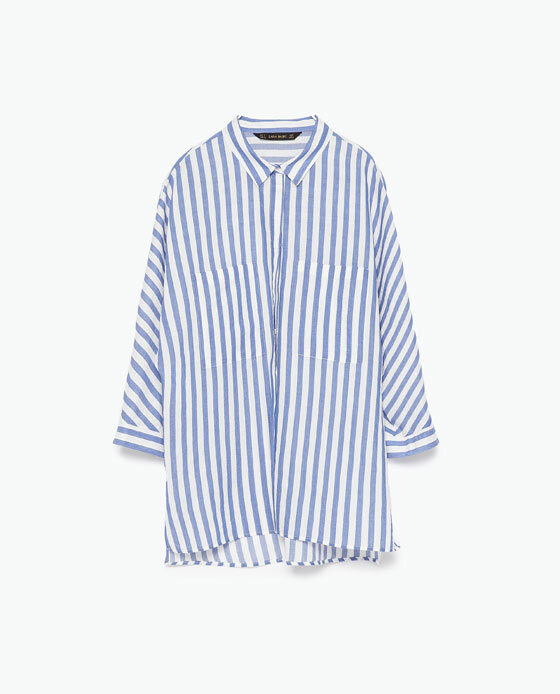 Zara gave me a run for my money, with this kimono sleeved striped shirt. It's soft for casual and irons well for a crisper look. Therefore, I purchased both colors and want to live in it. A simple white skater skirt and my Tnemnroda shades topped it off.